Defined by "affordable luxury" Dorin Frankfurt gives classic clothes new relevance and character. 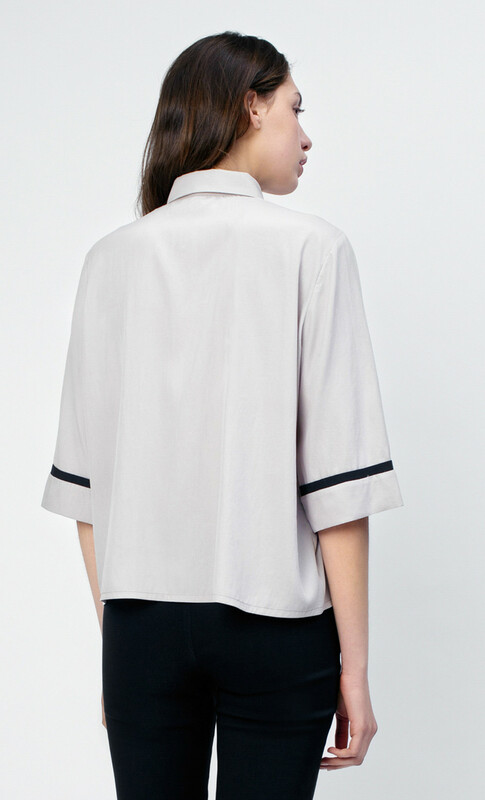 Cut from lyocell, this billowy silhouette has side slits and mid length sleeves detailed with black inserts to create an interesting color contrast. Wear yours with black trousers for a flawless casual look, and tuck it into a flared skirt for bohemian evening elegance.